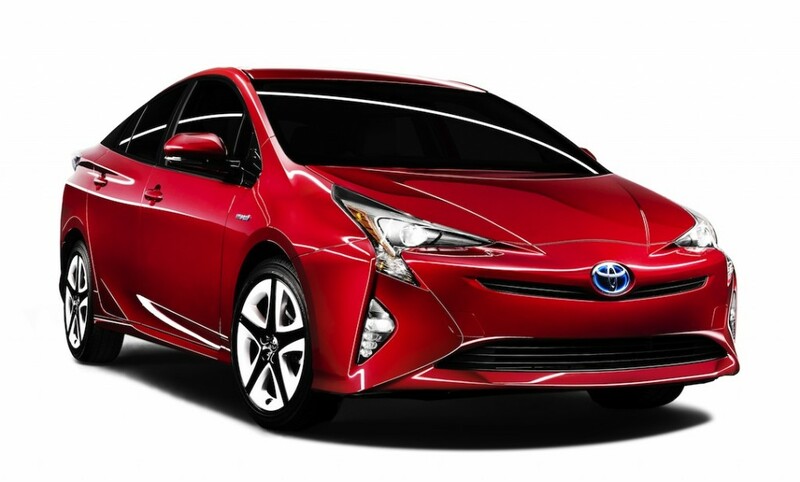 by Jim Corbran, Automotive Columnist As many hybrid car manufacturers simply throw a hybrid powertrain into one of their vehicles, Toyota’s Prius continues to be a brand of its own. If you’re going to be different, Toyota figures you may as well look different, too. Honda had the same thought 15 years ago when it introduced the two-seat Insight. But buyers didn’t exactly flock to it because it was, well, it was really different. When Toyota first introduced the Prius in the U.S. back in 2001, it was a very ordinary-looking four-door sedan, but different-looking from any other Toyota available at the time. And so it has remained so. The new fourth generation 2016 model, recently introduced to much hoopla in Las Vegas, is even more different than the previous model. To me it has a very futuristic look to it, setting it even more apart from Toyota’s other (sometime blah-looking) sedans. Although I’ll say, looks have improved greatly with the latest Camry and Corolla. The new Prius looks most radical from the rear view. Or does it? It’s certainly like nothing else on the road right now. And I’m not sure how it will resonate with current Prius owners, many whom are not looking to be noticed as they drive down the street, but rather are just trying to do their part to save the planet. It’s not all just looks, though. The new Prius has a new interior, suspension, and safety features such as a pre-collision system (which I think would be better named as a collision prevention system; pre-collision sounds like something which takes place just before your collision); lane departure alert; dynamic radar cruise control; and automatic high beams. Read the whole new Prius story here: Beyond Possible: The Sky's the Limit for the All-New 2016 Prius at Las Vegas World Premiere Event ### The post TOYOTA PRIUS 4.0 appeared first on Buffalo Cars.